Sømarken is situated 26 km south of Rønne and is the start of the stunning dunes and sandy beach that rounds Dueodde and ends at Balka Strand. Sømarken was voted Bornholm’s best sandy beach in 2003 by both guests and the island’s inhabitants. The sand is white and a little coarser in the grains than Dueodde’s sand. The beach is very child friendly. Sømarken has a rich wildlife with both deer, pheasants, wild rabbits, hares and a number of birds. 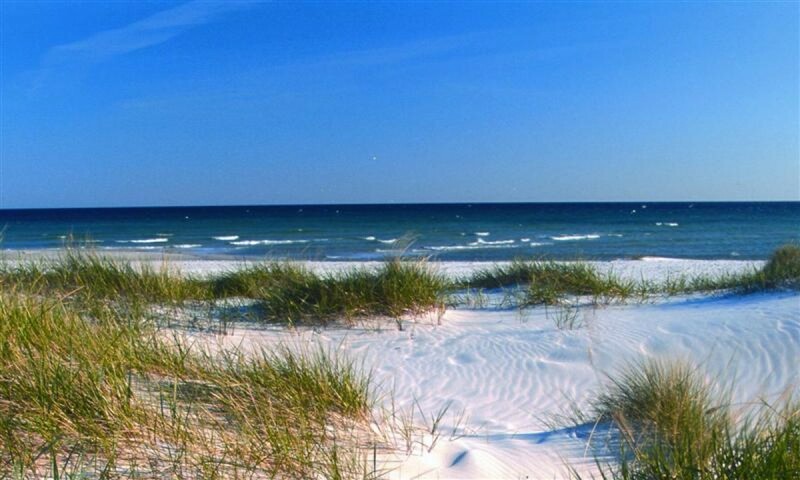 The beach dunes provides good shelter and the opportunity to take advantage of the many sunshine hours. At the same time, the beach is a good starting point for hiking in the area. West of the campsite along the beach lies the exclusive Michelin Restaurant “Kadeau”. If you go east, you quickly reach the smokehouse “Bakkarøgeriet” – maybe it is open and you can buy smoked herring or make yourself comfortable in the restaurant. It is from the beginning of the 19th century. In 1956 it was listed as a historical monument. It served as a grain mill and also had a trout house and a house for hanging out. When the trout was big enough, they were released. As in the past, errands come back to their own hatchery when they are going to spawn, and thus a solid trout production at the mill occurred. The mill can be experienced from the outside. A little further to the southeast you can find a rock deposited in the dunes. 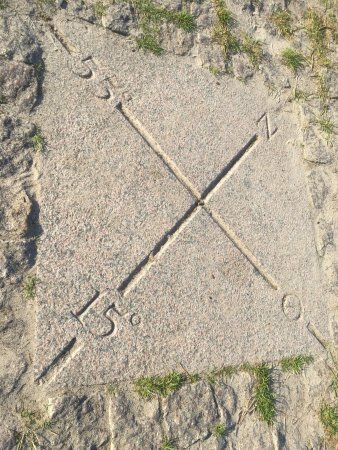 It marks that 55 degrees north latitude and 15 degrees eastern crossing cross each other right here.